How much is Logan Henderson Worth? 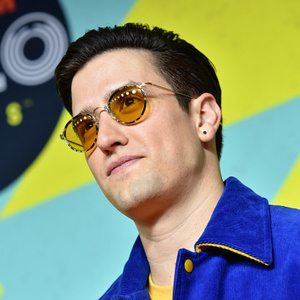 Logan Henderson net worth: Logan Henderson is an American actor and musician who has a net worth of $10 million. He is best known for playing "Logan Mitchell" on the Nickelodeon series, Big Time Rush, and also for being a member of the Big Time Rush band. He was born in 1989 and raised in North Richland Hills, Texas. At the age of 18, he moved to California to pursue his acting career, and received his breakthrough role with Big Time Rush in 2009. He has made cameo appearances as himself in several television shows, and was also present at the 2010 and 2013 Kids' Choice Awards with his band, Big Time Rush; the band performed at the event in 2011. Henderson signed with Sony Music Entertainment and Columbia Records as part of Big Time Rush in 2009, the same year he started working on the show with Nickelodeon. They released four promotional singles, "Big Time Rush," "City Is Ours," "Halfway There," and "Til I forget About You" which kick started their careers. In 2010 the band released their debut album, B.T.R. and the album peaked at number 3 on the Billboard 200, as well as #1 on iTunes digital albums list. The band released a second album a year later entitled Elevate, and Henderson co-wrote three of the songs contained on that album. Henderson currently lives in Los Angeles, and when he has downtime, he enjoys being outdoors, either hiking or being on a board, whether it is a snowboard, skateboard or wake-board. He has also appeared in episodes of the TV series Brain Surge, Nick News, How to Rock, Figure It Out, and Marvin Marvin.